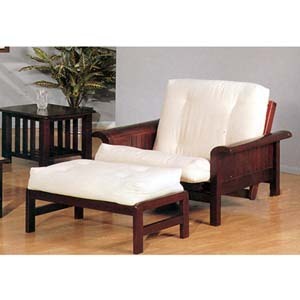 Sleigh Arm Futon Chair With Ottoman In Cherry Finish. Measures, 28Wx28Dx31H. Strong Construction. Easy To Assemble. IEM2521C.